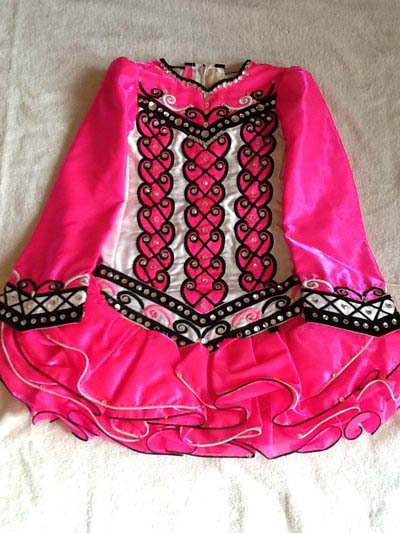 Dress is made by Shauna Shiels-Doire Dress Designs and is 1 1/2 yrs old, in good condition, worn only 2 times. 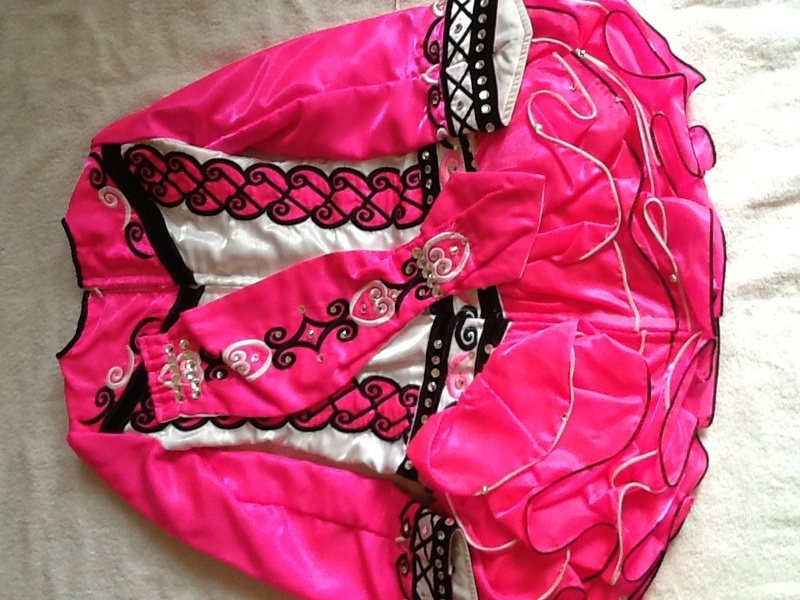 Dress is bright pink with a black and white design over bidice and lower arms. The dress has many intact crystal over bodice, lower arms, back of dress and skirt. 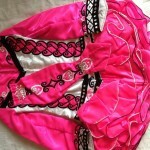 The dress comes with original headband designed to match dress and pink bloomers. Dress has been let out and down. Asking Price: $US800.00. Shipping costs are included in the asking price for worldwide shipping. Sale is final.